York General Dialysis provides hemodialysis treatment in an 8-unit facility located at the West View Medical Building. Our facility serves patients within a 50-mile radius of York and also admits visiting patients in need of treatment. Individualized patient care with low patient-to-staff ratios is a top priority. Caregivers focus on all aspects of each patient’s health. Experienced nurses provide care and treatment, a dietitian and a social worker meet with each patient regularly, and the nephrologists make regular visits. The environment at York General Dialysis is welcoming and comfortable. Patients can be assured that the best possible technology is utilized in their hemodialysis treatments. Each treatment station is equipped with a television and headphones. Overhead lifts are available to enhance comfort and safety. 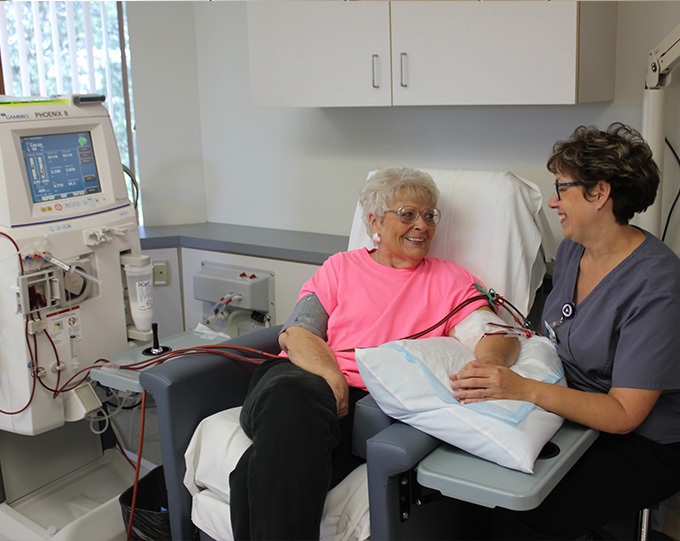 Dialysis operates three days a week (Monday, Wednesday, and Friday) from 6:00 am to 8:00 pm. For information call 402-363-6631.